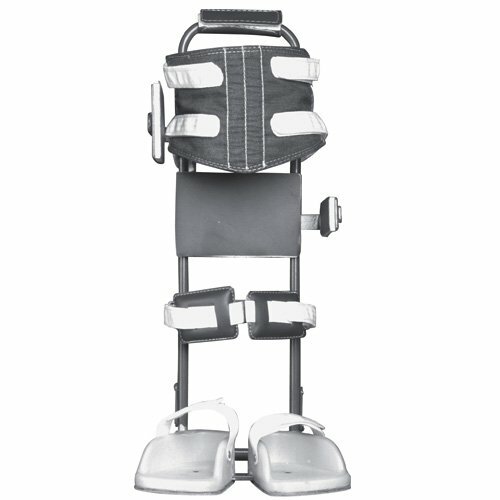 The Crutchless Standing Orthosis was developed by Gillette Children's Hospital in St. Paul, Minnesota. The lightweight frame is constructed of blue aluminum tubing, which accommodates growth and leg length discrepancies. The foam foot plates and other components in the kit may be assembled quickly with pop-rivets. There is also an optional aluminum standing base for added stability.